How did he do it? 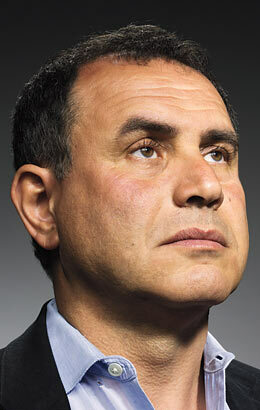 For the first decade of his career, Roubini, 51, was a well-regarded but hardly renowned macroeconomist. When the Asian financial crisis struck in 1997, however, he created a Web page  the forerunner of his subscription service, RGE Monitor  that became the go-to place for anyone trying to keep up with the flood of news, data and economic analysis. And in the process, he became acutely aware  more, perhaps, than any other economist of our era  of the dangerous mix of folly and fragility that characterizes the modern financial system. Does Roubini sometimes get it wrong? Of course. Everybody does. Four years ago, he was predicting an imminent end to China's willingness to accumulate trillions in sterile reserves, leading to a plunge in the dollar's value and to financing problems for the U.S. government. He was wrong about that, and no doubt he'll be wrong again. But he's much more than a Chicken Little who finally got lucky when the sky did fall. Don't be fooled by his sometimes over-the-top writing style: his warnings are based on sophisticated modeling and careful data analysis and have often proved right  not just in general but in detail. He was predicting $2 trillion in bank losses when most people thought those losses would be a few hundred billion at most, largely because he realized early on that subprime was only the beginning. 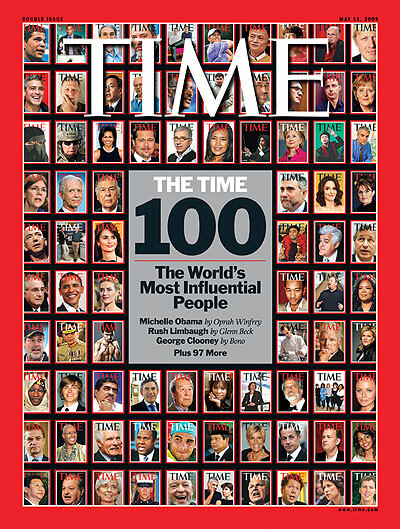 And now even the International Monetary Fund is predicting U.S.-originated losses of $3 trillion or more. So is Roubini a Cassandra? Yes, he is. Remember, people dismissed Cassandra's dire prophecies  until they all came true.